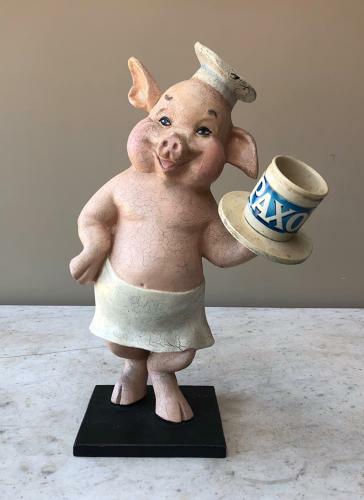 1950s Super Cute Butchers Display Pig....great condition for its age....usually something is missing or cracked but apart from the expected crazing he is great. Painted resin on ply base and ply tray. There are so many reproduction butchers pigs around at the moment but this one is "right". Nice small size to display easily anywhere & he can be posted wrapped well for £12.98 Parcel Force 48.